Europe’s leading carrier Turkish Airlines’ success has become a case study at one of the world’s most prestigious collegial institutions — Harvard Business School (HBS) on Tuesday. The case study called “Turkish Airlines: Widen Your World” explored the company’s transformation from a regional actor to a global powerhouse in the international aviation industry, and discussed its fast and profitable growth in the sector. “Forecasts for the sector predict approximately 7 percent passenger and capacity growth in 2016. Turkish Airlines plans to achieve 21 percent capacity and 18 percent passenger growth in 2016,” said the case study authored by HBS faculty member Prof. Juan Alcacer and HBS Istanbul Research Center’s Executive Director Esel Cekin. “Anticipated passenger traffic passing through Istanbul from Europe to the Middle East and Asia and from North America to the Middle East will triple in the next 20 years. 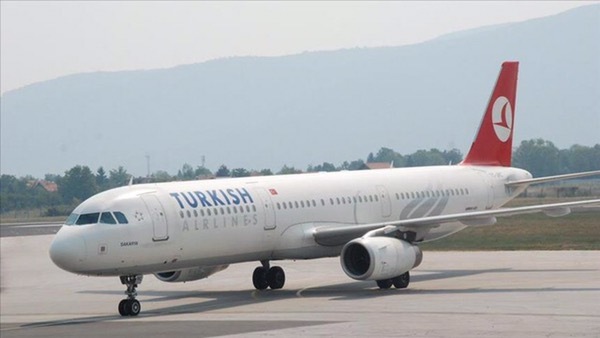 Given this potential, Turkish Airlines expects to continue to grow over that period,” it added. Turkish Airlines Deputy Chair and CEO Dr. Temel Kotil visited HBS in Boston to speak to a class of second year MBA students on Tuesday. “Ten years ago, Turkish Airlines was considered a regional airline. Today, we are one of the industry’s largest carriers serving 287 worldwide destinations to business and leisure travelers. We offer the largest number of countries and international destination choices to our passengers,” he said, according to a HBS statement. After his speech in HBS, Kotil told Anadolu Agency that 2004 and 2006 were crucial years for the company’s inception of success. In 2004, Turkish Airlines, which was a public enterprise back then, began flights to 24 new destinations in the Middle East. Since Turkey is geographically well positioned between Europe, Africa and the Middle East, the company used Istanbul as a natural hub for transit passengers. Noting that such a case study by HBS is a first for a Turkish company, the CEO said Harvard’s MBA students were astonished by Turkish Airlines’ rapid success. “They knew that Istanbul is in a key position between Europe, Asia and Africa. And they were aware that the new airport in Istanbul will solidify this position. What they liked the most was the way a small regional airline company grew six fold to become Europe’s best airline for five years in a row. Some of the reasons I pointed out for that were our hard work, the growth in the Turkish economy, and Turkish foreign policy’s initiatives towards Africa,” he explained. Kotil highlighted that Turkish Airlines ranked 13th among all airline companies in the world in 2014 and 11th in 2015. He projected that for this year it will finish in eighth place. “Our target is to raise the number of flights in the Americas and Asia. Just like we increased our flight destinations in Africa from four to 48, we intend to do the same for the Americas. Latin America will become our new Africa,” he said. Once having only four flights to New York a week, Kotil said Turkish Airlines now has three flights to New York every day, and added that the number of flights to Los Angeles, San Francisco, Washington, Houston, Boston and Chicago are also set to increase. New flight destinations for the company include, Atlanta, Bogata, Panama, Havana, Caracas and Mexico City. Increases in flights are planned from the current two flights to Kuala Lumpur as well as those to Taipei, Kotil explained. One of these most recent moves came last Sunday. In the U.S.’ most watched televised event; the championship game of the American football league, Turkish Airlines became the sponsor of a pregame show of the CBS-hosted Super Bowl 50. Moreover, the company also became the sponsor of the much-awaited Warner Bros.’ Batman v Superman movie, and had Hollywood actor Ben Affleck star in its commercials, which ran before and after the Super Bowl 50 on Sunday. “You need to have a new dream every day in Turkish Airlines,” Kotil said, indicating the importance of creating a brand in the U.S. and Asian markets. He noted that Turkish Airlines now has the most valuable brand among all other airlines in the world after the UAE’s Emirates.